Speed is the name of the game. Yet, even the world’s most successful companies struggle to keep pace with their changing market conditions. 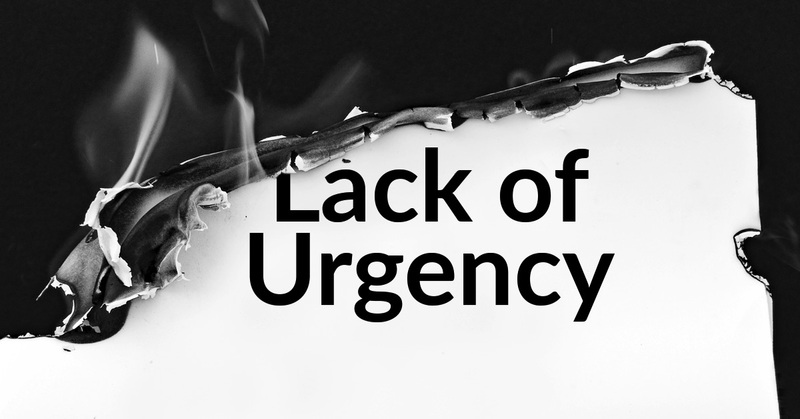 Often the culprit is our lack of urgency. Projects move too slowly. Goals and targets are missed. Strategic plans become obsolete. People lose their relevancy. Opportunities are lost and competition prevails. At the root of this problem, our research shows, is the scarcity of hardy and agile people inside of our organizations. Before we can address the lack of urgency in our teams and in our organizations, we first need to understand what the problem looks like. How many, if any, of these symptoms do you observe on your team or in your organization on a regular basis? One of my favorite analogies comes from the Wizard of Oz: Dorothy, along with her diverse team of misfits all have the capacity to find fulfillment and execute their dreams. Rather than chasing the answers in Oz, however, the characters must search within themselves and take control over their own destinies. The same is true for you and your colleagues. Speed and agility come from within – from the health, engagement, motivation, commitment of people. Not only do you have to make clear for people the goals and expectations required, we also have to tap into the energy lying dormant inside people. Here’s what you can do about it. To act with speed, agility and a sense of urgency you must feel positive about what you are doing. We all experience positive and negative emotions in business and life. For sure, anger, anxiety and loss can be a motivator, but the most powerful motivation forward comes from our position emotions. Our positive emotions are part of our emotional health and differ depending on life experiences, upbringing, genetic makeup, and other circumstances. They can also be shaped by a personal or business crisis, parenting, spiritual life, or innate characteristics. Among the successful leaders we have worked with, the most ubiquitous positive emotions are hope, compassion, forgiveness, joy, generosity, empathy, and love. Few people possess all of them, and stellar leaders understand that developing positive emotions requires effort. In our urgent world, you can choose to turn to your positive emotions to help you handle speed and disruption without falling into your negative emotions. Remember: tapping into the positive emotions of others is key to overcoming a lack of urgency on your team. Without strong energy it’s impossible to work hard and fast and deliver results. Energy management is a twofold challenge. It’s grappling with the physical and mental stress of running a team or organization, and it’s using these demands as a springboard for renewing and reinvigorating yourself. Good energy management requires you to think about your inner physical and mental reserves and leverages your interactions with your environment to create positive energy. So, it’s both inward and outward. You are harnessing personal energy while simultaneously generating organizational energy. Today’s changing world demands constant personal transformation and that, of course, requires energy. Managing and deploying your personal energy is a way to keep up with disruption and is rooted in your Physical Health. The drive to succeed means having — and openly demonstrating —the motivation and commitment to achieve our goals in life. Additionally, personal drive, desire, and practice are wonderful bedfellows that can combat the lack of urgency in any organization. When they are all connected to making a collective choice, something powerful happens. We proactively learn new things, develop new habits, and embrace the need to makes changes in our behavior. In our book Conscious, we write about the drive to succeed as a personal accelerator —something that drives us forward rather than a hijacker, or something that holds us back. We use accelerators to activate and foment change. Let’s face it, we all want to be successful and to be surrounded by successful people. Success itself comes from a combination of factors that work together. Character, talent, ambition, and practice serve as the roots of your Vocational Health, and drive is the fuel that catapults you forward. Tapping into our drive to succeed is critical to overcoming our lack of urgency. It engages your heart, and ultimately moves you and your organization forward. These three leadership qualities offer a powerful and reliable antidote to any lack of urgency your organization may be experiencing. And as we’ve seen with Dorothy and her friends, the solution lies within each of us. It’s all about helping our people find and unleash what they already possess. Do that, and a healthy sense of urgency will simply become a way of life for your team. Dr. Robert Rosen is founder and CEO of Healthy Companies and author of Conscious: The Power of Awareness in Business and Life. At Healthy Companies, we believe that growth and success lie at the intersection of the personal and the business dimensions of organizational life. Our missionis to help CEO’s and executive teams build healthy, high performing companies through our consulting services, executive coaching and learning solutions.